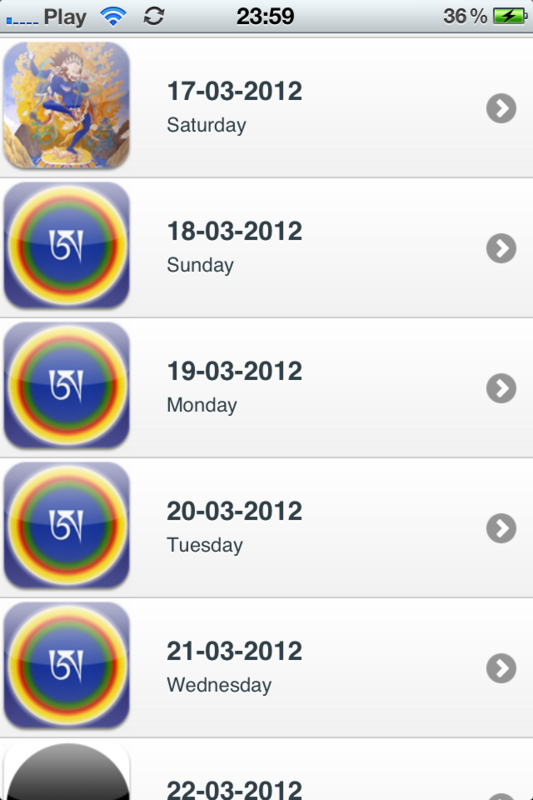 Tibetan Calendar from Merigar is an electronic version of the Merigar Calendar prepared by Chögyal Namkhai Norbu. 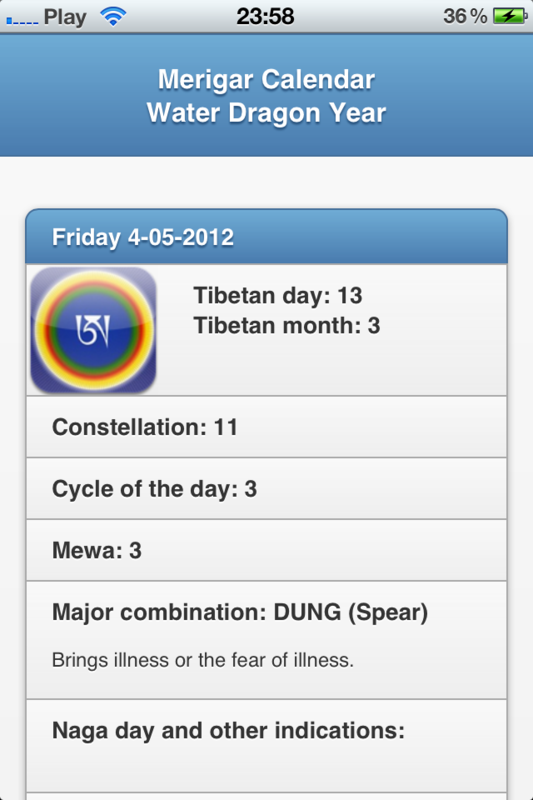 It contains not only lunar dates, but also different indications and combinations for each day. In Tibet this kind of calendar is used whenever something important is to be undertaken: if it is to be successful, choosing an auspicious date is considered very important. On the other hand, if an action is started on an unfavorable day, we may encounter obstacles caused by external circumstances we might not be aware of at the time of making a decision. The first version of the Water Dragon Year calendar.